Gelati, a shop that has two locations in Ireland, created the flavor in honor of Ed Sheeran, who is so obsessed with Heinz Ketchup he has their logo tattooed on his bicep. They wanted to welcome the “Shape of You” singer, who just played five shows in various Irish cities and has three upcoming shows in Dublin, back to their country with a flavor he would appreciate. “We @gelati_icecream decided to welcome Ed Sheeran back to Ireland by creating his favourite flavour: Tomato ketchup,” the shop wrote on Instagram before announcing they were offering free ketchup cones to concert attendees. Michael O’Dowd, Gelati’s owner, tells PEOPLE that that developing the flavor was a challenge because of the sugar and salt, which both act as anti-freezing agents, in the ketchup. 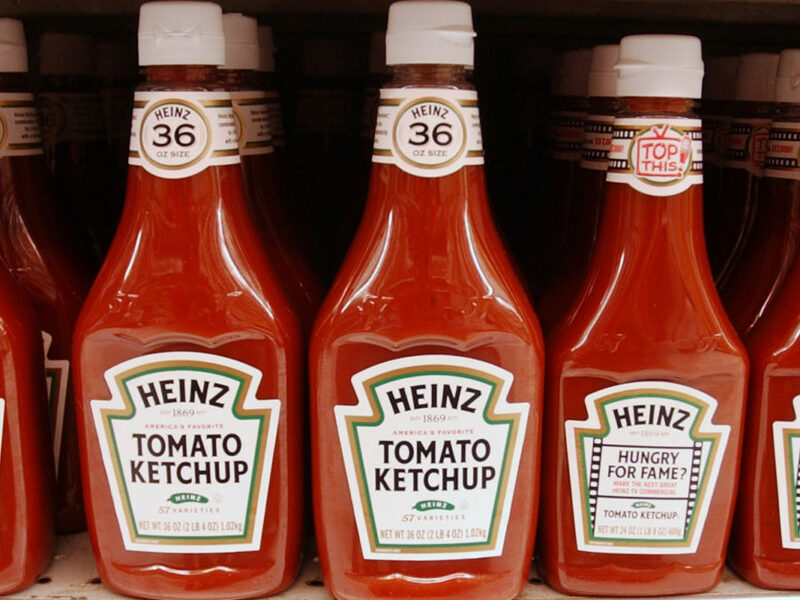 To make the ketchup-flavored scoop, the shop added the condiment to their “secret” base recipe, which features fresh local milk that is pasteurized in store. The homemade concoction joins other creative flavors in the shop’s daily repertoire, including Gin & Tonic sorbet and Blue Bubblegum. Although Sheeran has not yet tried the ice cream, O’Dowd hopes the “Perfect” singer will swing by for a sample.